Discover the latest prepaid data offer from Sun Cellular that gives you all day chat plus unlimited texts to all networks for only 30 pesos. 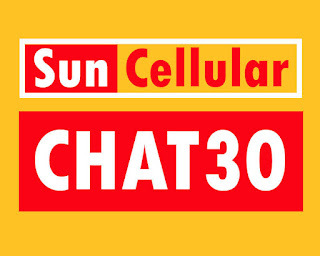 The new CHAT30 promo is valid for 3 days and lets you chat with all your friends and love ones via SMS and online. You can use Viber, FB messenger and more along with the unli all-net texts up to 3 days. The only thing you need to worry while subscribed with Chat 30 promo is the 15MB per day limit to chat messaging apps access. However, if you use it to important matters and know how to manage your data usage, I think that the allocation is enough for your need online communication needs. If you’re and existing Sun subscriber, all you need is 30 pesos regular load on your account. If not, just purchase Sun Prepaid LTE SIM at your nearest loading station, retailer and kiosk for only Php35.00. To register, just text CHAT30 send to 247. Wait for the confirmation message from Sun Cellular before you start using the promo. To use the all chat, you need to turn on your mobile data then make sure you are using the correct Sun APN settings to avoid connection problems. Make sure to turn off or restrict your background data aside from chat apps included in this chat promo.